Let Kangol hats be your reason for looking well put together with their great choice of style and colors that will fit with anything you're ready to wear that day or night. Kangol is the go to casual hat brand for so many Celebrities that have style coursing through their veins. 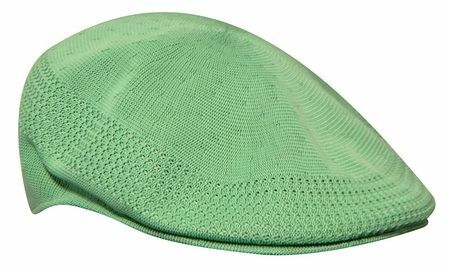 This rich looking Pistachio green 504 Ventair cap has the same famous look and attitude as when it was first introduced in the early 1980s.